Last edited by webracer; 10.29.2009 at 01:46 AM. If you want to pay for shipping from FL. U.S. I have a used/like new REVO 3.3 chassis if you want it ? There is a slot dremeled in it for a vercro battery strap to pass through other than that it's new with some dirt. 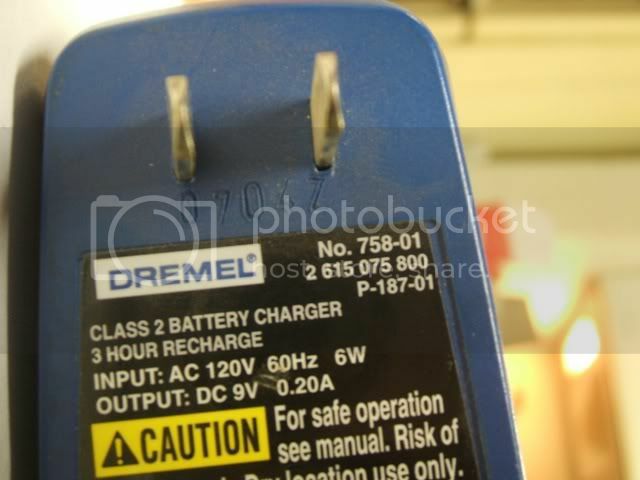 7.2v Battery and Charger for a dremel. Was given to me sometime ago but I never had a dremel that took that battery style. Battery pack has # 757-01 on it. Pay the postage and it yours. Will go to first PM received. Last edited by Gee; 03.05.2010 at 04:12 PM. Smelly Nitro meet your maker! Location: So close to hell I see Sparks. Just wanted to add some stuff and say that the Castle Links are both gone. This is also posted locally for free. I will give these items till Friday March 26th than they go in the trash, or recycling bin. 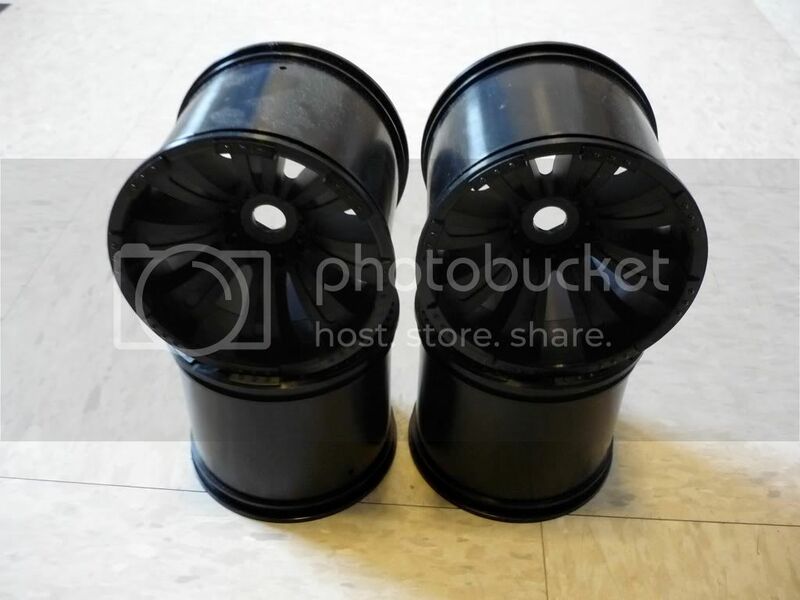 Axial 40-series wheels, never used or glued, 17mm hub. I no longer have any MT's so someone can have these for free, just pay shipping. Dibs on the Axial wheels...what's shipping to 35901? Mods can you delete my section, all of it has been passed on. Delete this post as well please. Thanks! A set of brand-new wheels and tires that will fit the front & rear of the RC18 series, the rear of the Mini-T series, and any other vehicle that uses cross-pin mounted wheels. They are free, except for the price of the actual shipping method of your choice. I have a coupon for the free CastleLink or $10 FieldLink that came with my MMP that someone can have. I'll even send it for free since it only costs a stamp. Or I can just PM you the code. For some reason the code says it's invalid when I tried to enter it on the Castle shopping cart system, but I have heard of this happening before, and I am sure if you email Castle they can sort it out. It is definitely a valid and unused code. What is this FieldLink thing? 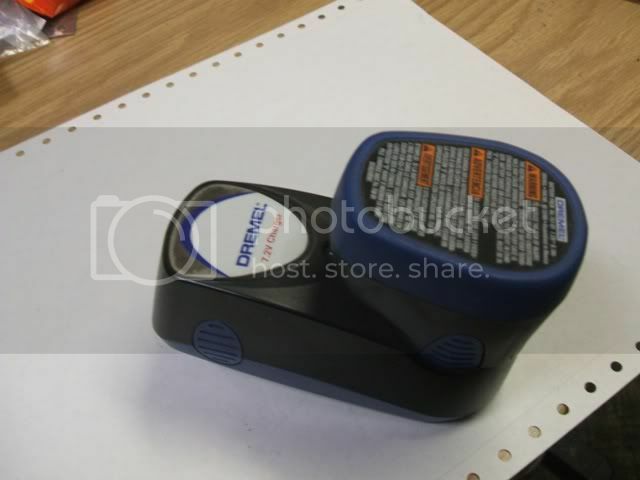 I have the CastleLink for the PC, but if the FieldLink is lke a programming card, I definitely want it! I am not always near a computer, and I refuse to bring my Laptopto dusty/dirty places. Edit: Ahhh, I looked it up, I definitely want it...it is awesome! Last edited by Chadworkz; 05.25.2010 at 02:25 AM. Whatcha mean? I broke the rx crystal is why i need a new set.